Seeing as it’s powered by a turbocharged 300hp motorcycle engine it might be a little different than you remember a Go-Kart being. The Palatov DP4 Super Go-Kart ($25,900 – $50,610) features a super sleek frame is crafted from aircraft-grade chromoly steel tubing, which provides stability while still keeping the weight at a minimum of around 800-900lbs. The resulting “Go-Kart” is more like a super car in performance. 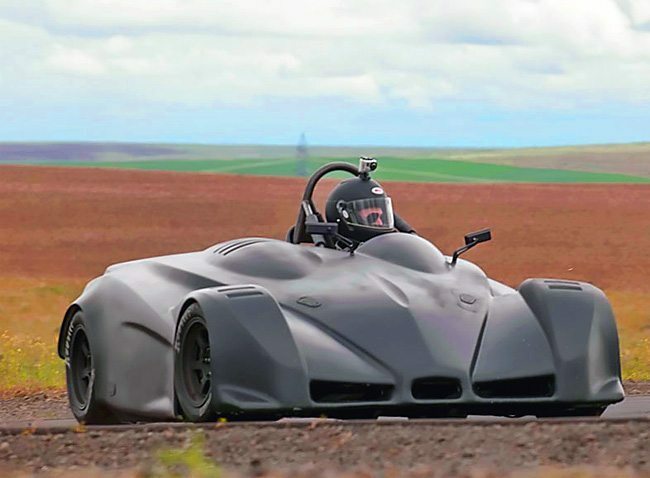 You can purchase the Palatov DP4 as either a build-it-yourself kit for $25,900 or you can spend $50,610 for a pre-built, 800lb, all-wheel drive version sporting a 1400cc 200HP turbocharged Hayabusa engine. To check out the Kart in action watch the video below.